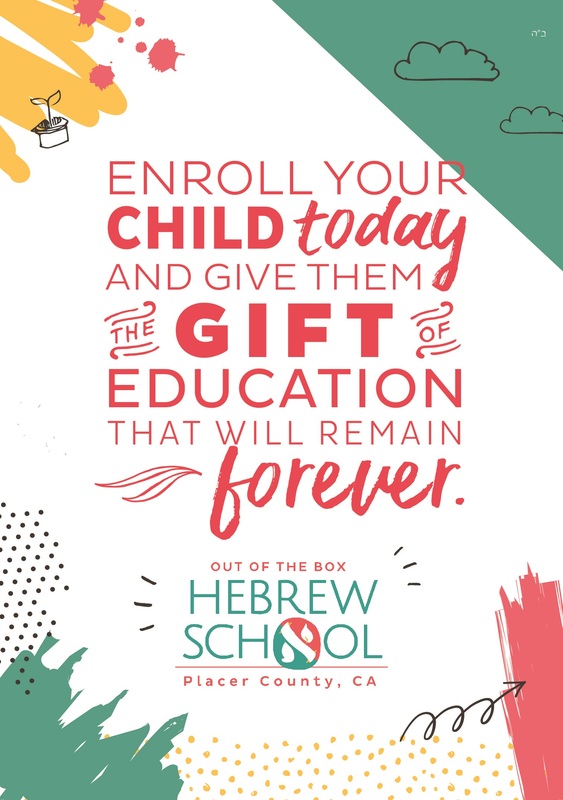 Out of the Box Hebrew School - Chabad of Placer County, Where every Jew is Family! Jewish tradition has always promoted a loving approach from one individual to another. We are dedicated to making the richness of our Jewish heritage accessible to the contemporary Jew, every Jew, no matter what their level of affiliation of level of religious observance. Children learn through STEM projects, engaging activities, art, Jewish music and the acclaimed Aleph champ program!